The summer saga surrounding Luis Suarez’s vampire instincts is long forgotten, even though it might still play a role in his surprisingly muted football debut in FC Barcelona’s magic triangle. However, the full text of the CAS award in the Suarez case has recently be made available on CAS’s website and we want to grasp this opportunity to offer a close reading of its holdings. In this regard, one has to keep in mind that “the object of the appeal is not to request the complete annulment of the sanction imposed on the Player” (par.33). Instead, Suarez and Barcelona were seeking to reduce the sanction imposed by FIFA. In their eyes, the four-month ban handed out by FIFA extending to all football-related activities and to the access to football stadiums was excessive and disproportionate. Accordingly, the case offered a great opportunity for CAS to discuss and analyse the proportionality of disciplinary sanctions based on the FIFA Disciplinary Code (FIFA DC). I. Admissibility: Can FC Barcelona join the appeal? As a preliminary matter, FIFA was contesting the right of FC Barcelona to take part in the appeal against the decision. The Panel judged that “in light of the specific circumstances of the case, taking into account the impact of the specific sanction imposed, the Panel finds that the Club is sufficiently affected by the Appealed Decision and that the Club has a tangible interest of financial and sporting nature at stake” (par. 47). In other words, “in a case where the FIFA authorities are issuing a sanction against a player and such sanction affects direct financial interests of a club, such club must have the possibility to appeal (within the applicable deadline) such decision in order to be able to protect its legal interests, even if this interests became actual after the challenged decision was issued” (par.48). In short, the right to appeal to CAS is extended to the club of the player, even when he is not party to the original proceedings. II. Merits: Is it the right sanction? The first problem raised was “whether the actions of the Player at the Match constitute […] an unsporting behaviour to be sanctioned […] under art. 57 FIFA DC” (par.69). The club and the player were invoking various well-known principles of criminal law (ne bis in idem and nulla poena sine lege certa) against it, but the arbitrators decided to reject these objections (par.70-74). Interestingly, the Panel held that “it is not necessary for the principles of predictability and legality to be respected that the football player should know, in advance of his infringement, the exact rule he may infringe, as well as the measure and kind of sanction he is liable to incur because of the infringement”. Furthermore, “[t]he fact that the competent body applying the FIFA DC has the discretion to adjust the sanction mentioned in the rules deemed applicable to the individual behaviour of a player breaching such rules is not inconsistent with those principles” (par.73). Yet, the Panel was also of the opinion that “the wording of art. 57 FIFA DC shows that this provision contains a mere general clause, trying to cover all possible conducts against fair play, which are not yet covered by other articles, or “consumed” by the application of any other provision, of the FIFA DC”. Hence, “to the extent the action of biting (in the circumstances in which it occurred at the Match) falls within the scope of art. 48 par. 1 lit. d) FIFA DC (as all the parties concede), since the kinds of “assaulting” therein described (“elbowing, punching, kicking”) are expressly not exhaustive (“... etc.”), the same action could not be comprised in the scope of art. 57 FIFA DC, even though the Player’s assaulting in the case at hand, being a misconduct, is also against fair play”. Thus, “the punishment of the Player is already and fully covered by the application of art. 48 par. 1 lit. d) FIFA DC – with no room left for art. 57 FIFA DC, wrongly applied by the FIFA disciplinary bodies” (par.77). In short, article 48 par. 1 lit. d) FIFA DC is deemed the lex specialis to art. 57 FIFA DC. Therefore, “any sanction going beyond those allowed by art. 48 par. 1 lit. 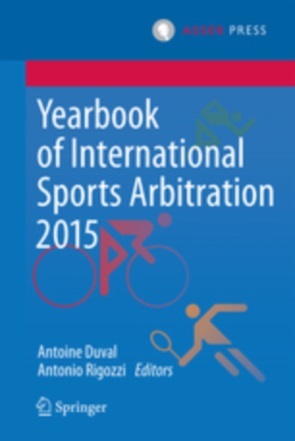 d) FIFA DC would be inappropriate to the peculiarities of the case and would be disproportionate” (par.78). The claimants argued that the FIFA disciplinary bodies did not take in account the mitigating factors and wrongfully assumed aggravating circumstances. The Panel rebuts this line of thinking. Indeed, regarding “the question of the relevance to be given to the Player’s remorse as a mitigating factor, the Panel, looking at the non-contested facts and the Parties’ allegations, finds that the margin of discretion the FIFA Appeal Committee had to judge this case was not exceeded, and that it was correctly exercised” (par.81). The arbitrators find that “the remorse of an offender can hardly be given any weight when the same offender had in precedent occasions committed the same infringement and in those occasions had already expressed its remorse and pledged not to repeat that infringement” (par.83). Moreover, “the remorse and apologies shown by the Player after having already been sanctioned cannot have the same impact as a remorse expressed immediately after the event and before any disciplinary proceeding is started and/or sanction is imposed” (par.83). 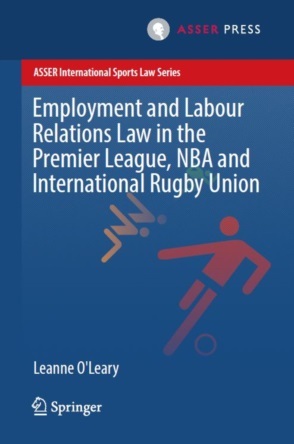 Additionally, “the disciplinary bodies could take into account the fact that the Player had already committed in two preceding occasions the very same infringement, and irrespective of the level (national) of the competition in which they had occurred” (par.87). Thus, the Panel is of the view that the discretion granted to the FIFA Appeal Committee by art.39 par. 4 FIFA DC in weighing the mitigating factors and aggravating circumstances was properly exercised (par.90). The sanction against Luis Suarez is not based on an erroneous analysis of the factual situation. Indeed, remorse can only come into play if immediately voiced, while the concept of recidivism should be interpreted widely as including a similar wrongdoing in the framework of any football competition. The key argument raised by the appellants against the length (and nature) of the FIFA sanctions imposed on Luis Suarez concerned the proportionality of the sanctions (par.91-108). In that regard, FC Barcelona and Suarez argued that “the biting of the Player is not an act of extreme violence and that there was no damage or injury caused to the opposing player, as he was able to continue to play without medical assistance” (par.93), while FIFA dismissively stated that “CAS should not correct any of its decisions if it is not considered to be “evidently and grossly disproportionate to the offence”” (par.94). The Panel rejected both analyses. On the one hand, it held that “biting is absolutely foreign to football and therefore to be considered as a sort of aggravated assault” and “the fact that the opposing player was not injured could not be considered a mitigating factor in the case at hand “(par.95). However, on the other hand, it also held that “the Player is responsible (only) for the violation of art. 48 par. 1 lit. d) FIFA DC” (par.96). Therefore, “the four (4) month ban on taking part in any football-related activity and the prohibition of entering the confines of any stadiums, not allowed for a violation of art. 48 par. 1 lit. d) FIFA DC, could not be applied” (par.96). Nevertheless, due to its specific nature as an intentional assault, the biting “deserves a sanction well above the minimum level of a two match suspension and a fine indicated as such in art. 48 FIFA DC” (par.97). In conclusion, “the Panel finds that the four (4) month ban of the Player on taking part in any football-related activity and the prohibition of entering the confines of any stadiums are not contemplated by art. 48 par. 1 lit. d) FIFA DC, and are also not appropriate to the infringement committed by the Player on the pitch” (par.104). Moreover, “the FIFA Disciplinary Committee and the FIFA Appeals Committee did not take into consideration that with the four (4) months ban of the Player on taking part in any football-related activity and from entering the confines of any stadiums, the Player actually was prohibited to train with a team and keep his fitness in order to be ready to start playing for the Club after and above this four (4) month ban” (par.105). Furthermore, “this prohibition appears to impact, without any legitimate justification in the case at hand, on the general possibility for the Player to derive profits from his image as football player – beyond the simple participation in football matches” (par.105). Besides, “no justification was offered in the Appealed Decision (beyond a generic reference to the gravity of his actions) in support of the specific sanction of the stadium ban– a measure usually imposed to hooligans, which in the case of the Player does not seem to pursue any legitimate purpose” (par.106). In light of all of this, the Panel decides “to replace the sanction of the prohibition on exercising any football-related activity for four (4) months with the sanction of a match ban (applicable to official matches played at any level) for the same period” (par.107). Luis Suarez is long back on the pitch and the practical relevance of this discussion is very limited for his future career. Yet, interesting insights can be derived from this award. Litigants in disciplinary cases involving FIFA will be interested to know that a Club, even if it is not directly part to a dispute in front of FIFA’s disciplinary bodies, might have a legitimate right to appeal a decision rendered against one of its players. More importantly, the systematic interaction between article 48 and 57 FIFA DC has been clarified. Article 48 FIFA DC constitutes a lex specialis to article 57 FIFA DC and, thus, both cannot be applied cumulatively to sanction a player more heavily. This is not to say that a very peculiar offense, like the one at hand, will not face a tough sanction. Nonetheless, a sanction imposing a drastic stadium or football-related activity ban, threatening the player’s ability to derive any revenues from his work, will be deemed disproportionate unless it is thoroughly justified. This is a clear warning not only to FIFA’s disciplinary bodies but also to any Sports Governing Body: the harsher you get, the stronger the supporting reasoning must be.